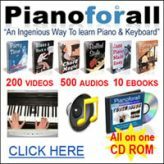 Yamaha Motif Keyboards Buying Guide - What to Choose? Let's take a look at different Yamaha MOTIF keyboard models. I will guide you into choosing the best one for your particular needs depending on various factors, such as your budget. If you have the money and are looking for a top of the line Motif, the current one and the best on the market today is the XF series. It's the best Motif to date. There's the MOTIF XF6, XF7 and XF8. They are pretty expensive and cost about $2500, $3200 and $3600 respectively. 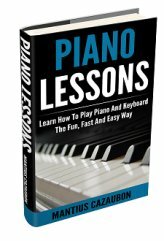 A great investment nonetheless for the serious, professional keyboard player. They are basically the same keyboards except for the number of keys they come with and the weight of keys. The XF6 and XF7 use high-quality FSX keyboards with 61 and 76 keys, respectively. The MOTIF XF8 uses a BH (balanced hammer) keyboard with 88 keys. The Motif XF is really an upgraded Motif XS. Learn about the Motif XF series here. If you're looking for the incredible sounds of the Yamaha MOTIF but you can't afford to dish out over two grand or even three grand, the Yamaha MOXF series is your best bet. This is an update of the popular MOX series (now discontinued by manufacturer). The Yamaha MOXF6 and MOXF8 are loaded with Motif XF sounds and effects plus the capability of adding even more via its flash board slot. The 66-key MOXF6 sells for about $1200 and the 88-key MOXF8 for $1700. They cost the same price as the MOX6 and MOX8 so you're better off buying these updated MOXF models instead. You may be able to buy any of these keyboards "like new" or used for less. If you play a lot of gigs and want a light keyboard, you will love the MOXF series. Are you on an even tighter budget but still want Yamaha MOTIF features? You should check out the MX series. There's the MX49 and MX61 with 49 keys and 61 keys, respectively. If you're in search of a full 88 key keyboard or even 76 keys, this one is not for you. The MX series is great for someone on a budget who wants the sounds of the famous Motif XS series. They sell for as little as 500 and 700 dollars respectively. Then there's the Yamaha MM series nicknamed "Mini-Mo" which is great for someone on a budget who wants a few features of the Motif series. Although there's a big debate as to whether this keyboard actually comes with Motif sounds. Yamaha boasts that the 61-key MM6 and 88-key MM8 borrow 418 dynamic voices from their MOTIF series. These keyboards sell for $600 and $900, respectively. One great advantage of this keyboard is the fact that it is so light. This makes it great for gigging. If you're in search of a weighted-key keyboard, by all means, the MM8 is the one for you. If all you want is the Motif sound and you already have a keyboard you can work with, you would be fine with just a Motif Rack. Check out the MOTIF Rack XS sound module. Older models like the MO6, MO8 Motif ES6, ES7 and ES8, Motif XS6, XS7 and XS8 and original Motif keyboards are no longer available at the major online retail stores. If you really need one your best bet would be to source a used model.